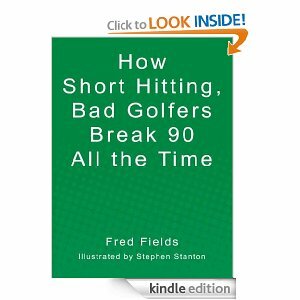 How Short Hitting, Bad Golfers break 90 All the time by Fred Fields book was a quick, fast read! I learned how to hit straight and put better. Maybe I will be able to practice these improved skills in the spring! I like the forward nature and the short--yet helpful way the book is written. You can get this book on Amazon in print or as a Kindle! MamaBreak received the above book to review here on MamaBreak. We did not receive any other type of compensation. As always, our opinions and experiences are our own.